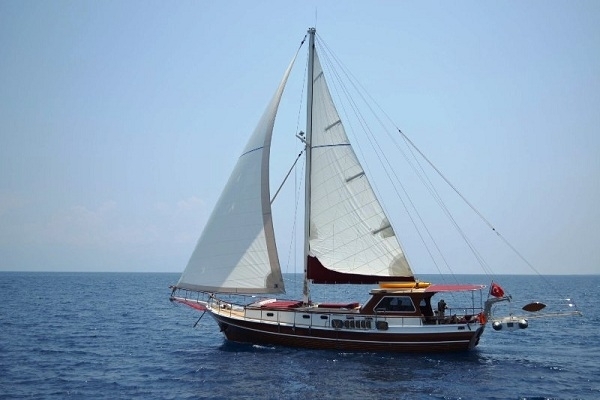 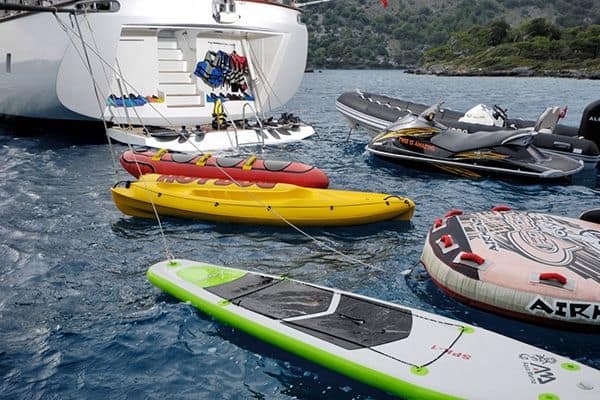 Luxury gulet Nazcan offers a boutique cruising experience for one or two couples, a couple with a child or two singles to share being pampered on board a modern gulet by an attentive crew of two who offer excellent service. 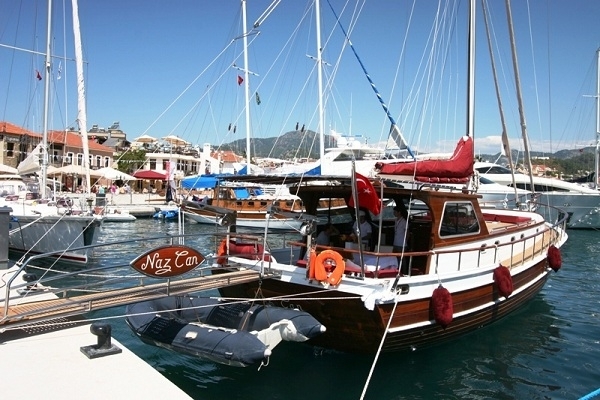 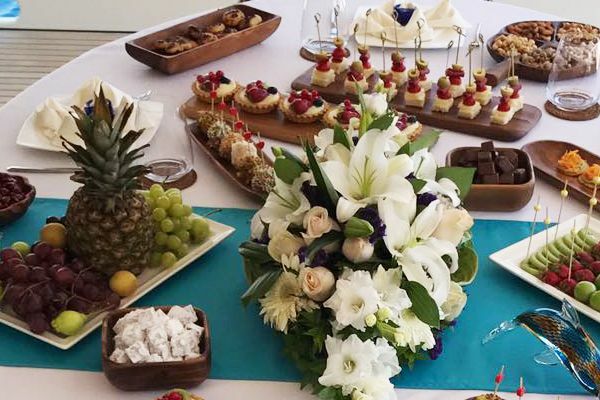 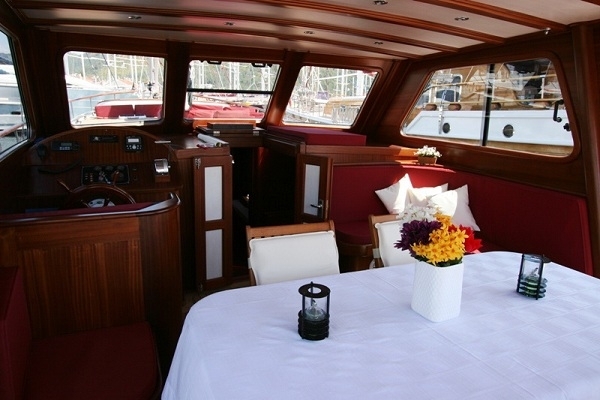 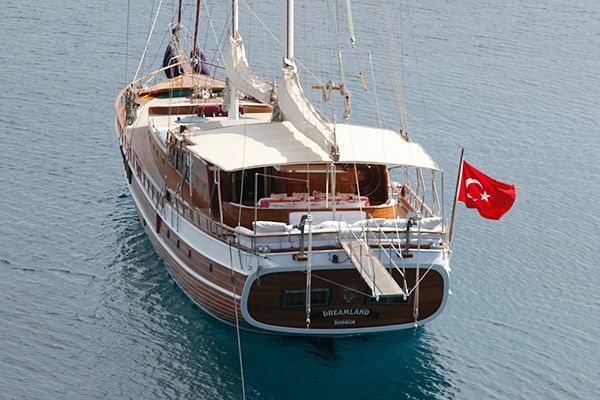 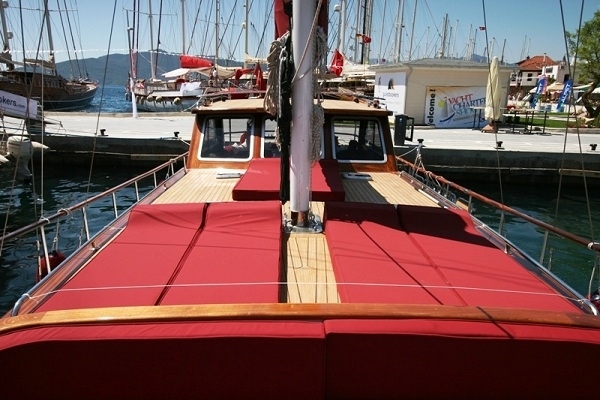 It can match the gulet cruise experience on many of the of larger gulets in Turkish Aegean ports. 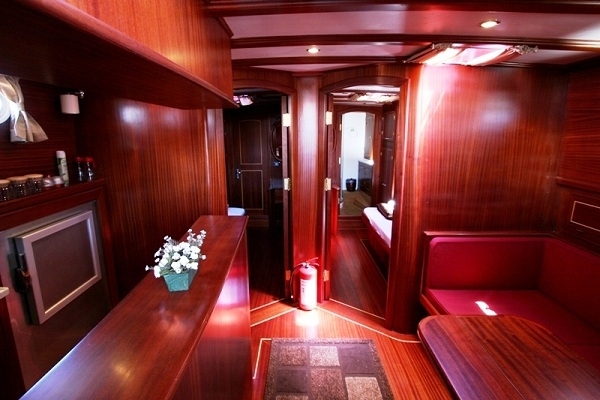 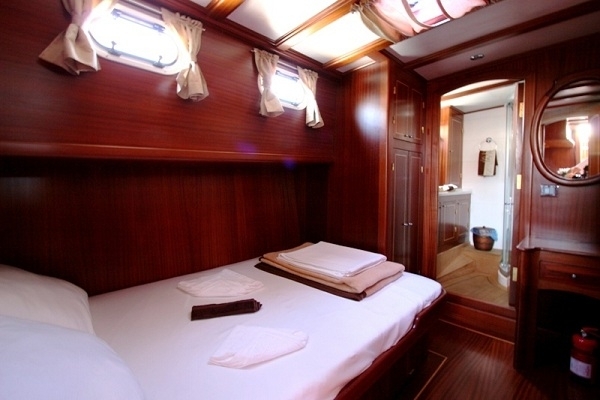 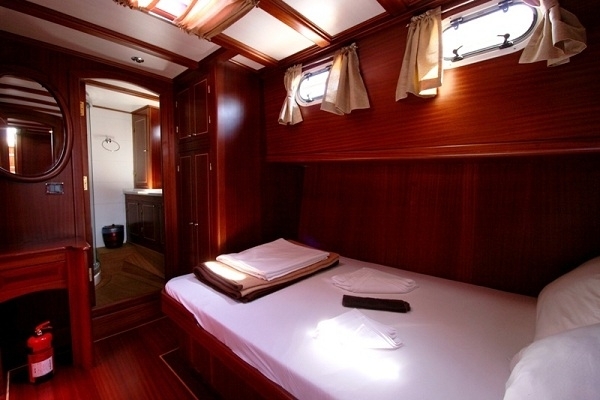 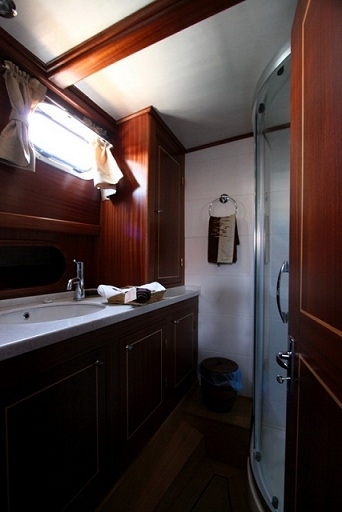 The compact and well-designed interior holds two equal-sized double bed cabins, each with their own private bathroom; an indoor saloon area, and a fully equipped galley, all with air-conditioning run throughout. 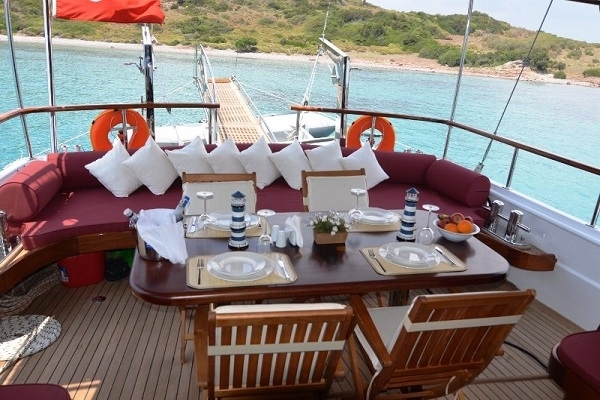 The outdoor deck areas fore and aft offer space for relaxing with six sunbeds, plus cushions and dining table aft in the shade. 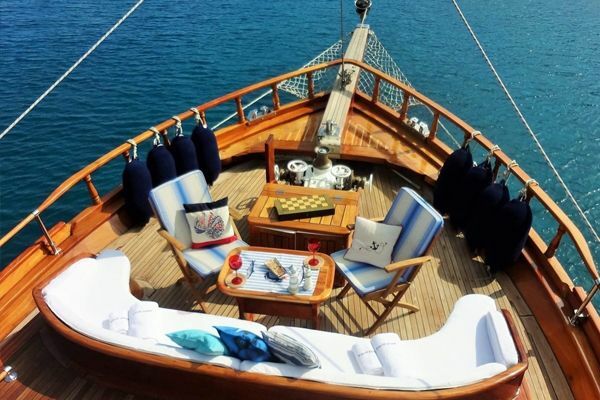 For entertainment a DVD is supplied with TV, and a canoe for enjoying a paddle along the turquoise waters of a quiet anchorage. 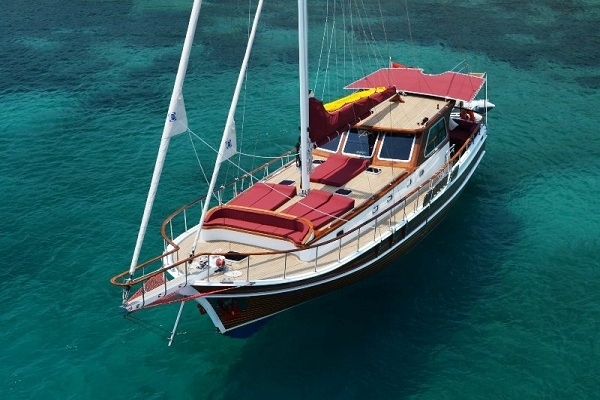 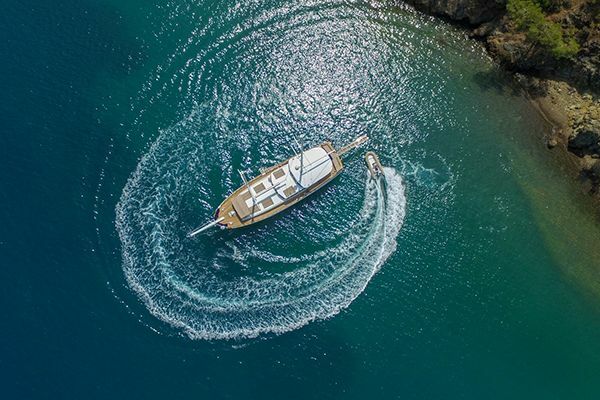 Only built in 2011, the Nazcan gulet is kept in superb condition, and offers a true get-away-from-it-all holiday sailing from Bodrum along the Turkish Coast and to nearby Greek Islands.